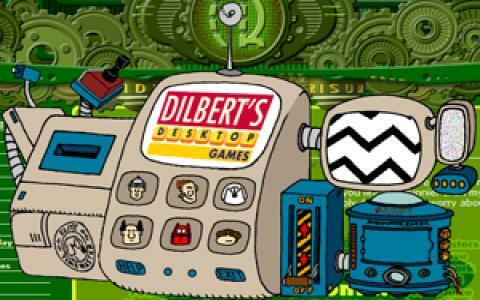 Dilbert's Desktop Games, I imagine would have some mixed reviews. 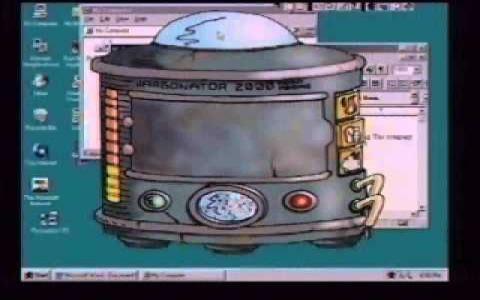 The game was released on CD-ROM in 1997, before the internet was widely available. 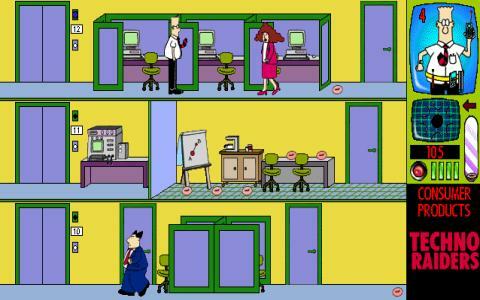 The game is based around the newspaper comic book strip (and series) "Dilbert". However, many parts of the world, Dilbert is not a well known comic book character, unlike the more well known Garfield. I personally think the game was bold and innovative for its time. 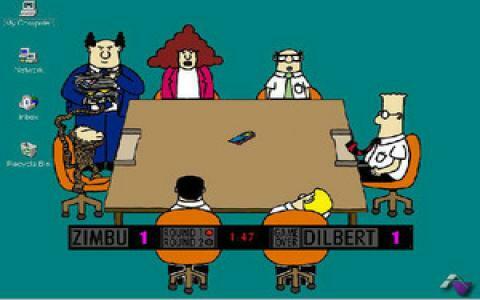 Dilbert's Desktop games, may actually turn you into a fan of the comic (like I was) and if you are a fan of the comic, this is a nice look into the hilarious world of Dilbert. 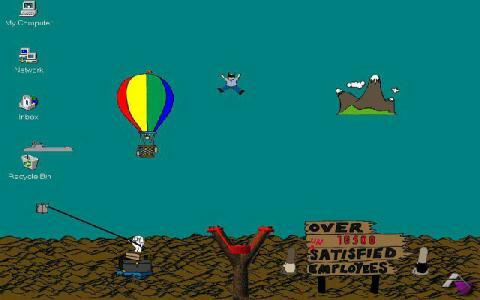 The game is based around a series of mini games. As the title suggests, it is a series of "desktop games" that was a fairly new for it's time, especially on the old Windows 95 and 98. The game comes before the days of the obsession society now has with, small "app" games on the android and iphone for example Chicken Invaders and of coarse Angry Birds. Some of the mini games can be played with a friend 2 player simultaneously on the same keyboard. This can makes the game a lot more enjoyable. however the main complaints I would have about this game, is the shortness of it and it does get fairly repetitive. If you actually finish the game, it secretly records how many hours you played the game and tells you (which can end up being 10-20). As the title says, it is only desktop games and doesn't claim to be anything more. I would still recommend it.